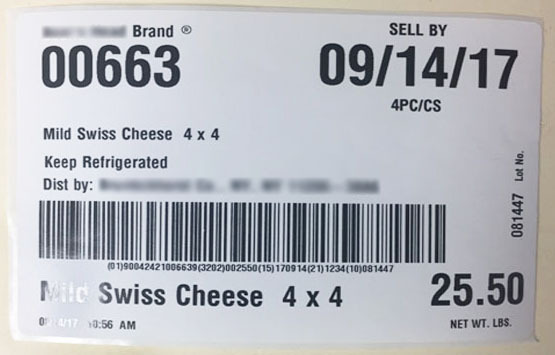 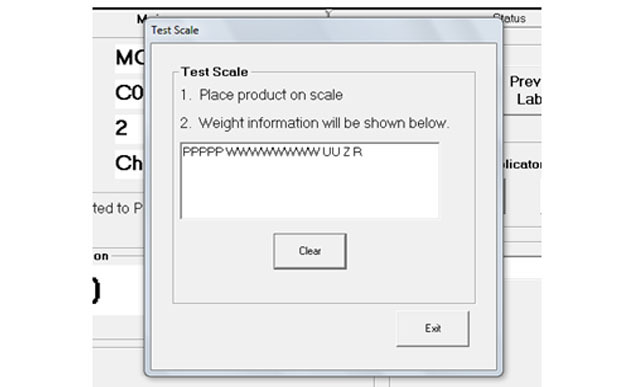 For this application, the customer needed to label cases of cheese with product and weight information. 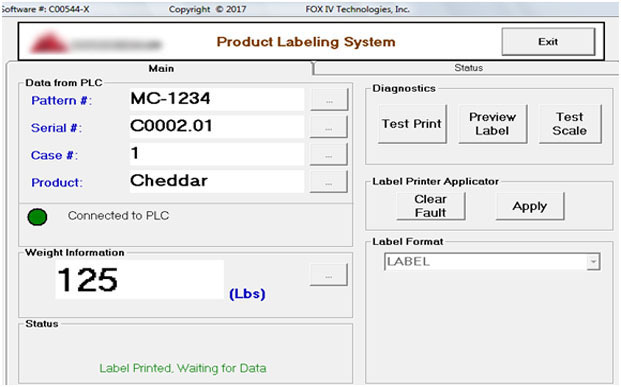 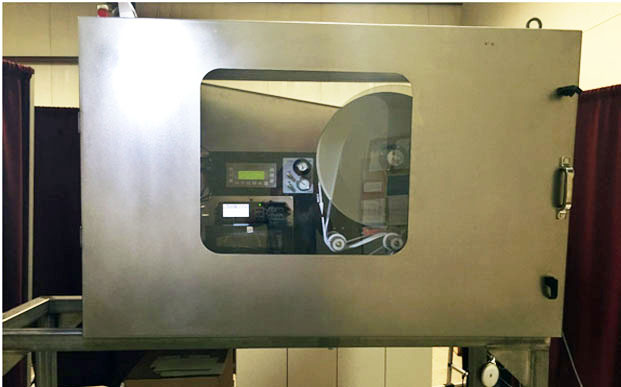 FOX IV provided a label printer-applicator in a washdown enclosure with an integrated industrial PC. The FOX IV software resides on the industrial PC integrated into the washdown enclosure. 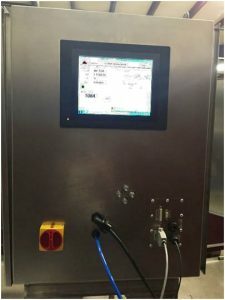 The software communicates with the customer’s in-line scale via an RS232 interface and with the customer’s PLC via a TCP/IP socket connection. 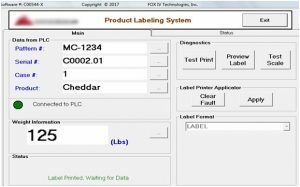 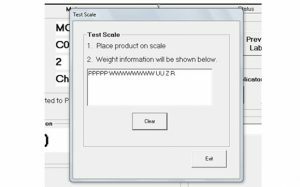 The software receives the product information along with the weight then generates the case label to send to the printer-applicator. 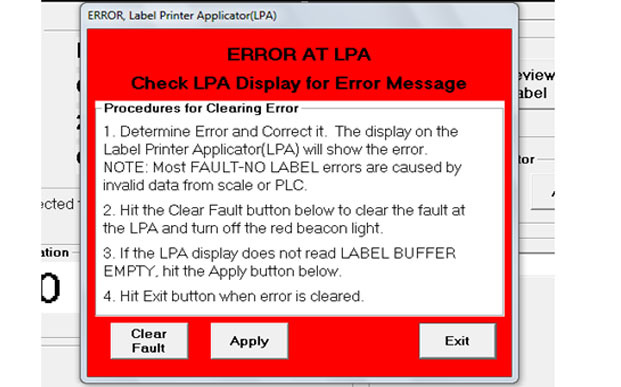 If a fault occurs during the labeling process, an error screen is displayed on the PC.